Bumblebee colonies in landscapes dominated by maize collect pollen from relatively few types of plant species and therefore grow less than those colonies which find a diverse range of pollen in varied landscapes. This is what Göttingen agricultural ecologists have discovered. Their paper was published in the Journal of Applied Ecology. 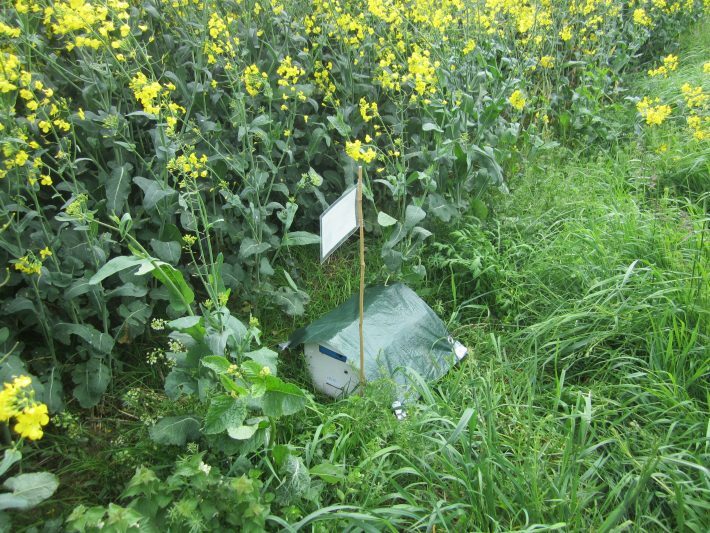 The scientists placed bumblebee colonies in 20 different landscapes in the Göttingen area. The landscapes differed in terms of average field size, diversity of plants and the proportion of rapeseed and maize. Then they documented the weight gain of the colonies and collected the pollen of the bumblebees, which was analysed in collaboration with the Department of Palynology and Climate Dynamics. The results show that the bumblebees collected fewer pollen types as the proportion of maize in the landscape increased. “This has a negative effect on the colonies, as a large variety of pollen types is crucial for optimal growth,” explains Annika Hass who conducted the study in the context of her doctoral thesis. However, field size, diversity of crops and the proportion of rapeseed had no effect on the bumblebees. “Maize contains far fewer wild herbs than other crops,” says Prof. Dr. Teja Tscharntke, Head of the Department of Agroecologist and co-author of the study. “Insufficient growth, as shown here with bumblebees, is also to be expected with other insects, in particular those that rely on flowers. The researchers therefore recommend offsetting the negative effects of maize with agri-environmental measures such as having strips of flowering plants, hedges or fallow land.